Nora endured devastating abuse from her parents and from a former husband. With such dysfunction in her world, becoming a mother wasn’t something she dreamed about. Then she discovered she was pregnant. “I wanted to keep the baby very much,” she says, “but the situation was too dire.” So she made the heartbreaking decision to end the pregnancy. With the help of therapy and work in creative fields, she has survived her youth and has healed herself “to the point of being able to live in a loving relationship” with a wonderful fiancé. “I can finally do something productive with my life,” she writes, yet at the same time, feelings of doubt and failure pop up as she wrestles with the results of her choices (oh, how I hate that word). I hope you’ll offer her words of compassion and encouragement in the Comments, especially if you can relate to her story and have escaped an abusive situation yourself. Nora: I honestly never pictured myself as a mother. The whole idea felt too foreign to me, as I came from a religious family that was profoundly dysfunctional and had no internalized positive image of motherhood. I came to terms with the reality of being an orphan after I disowned my abusive parents and cut contact with my younger siblings who were my only other relatives. I started therapy as early as I could, driven also by the fear that if I didn’t arrive at a point of healing soon enough, I might be too old to create a loving family of my own when that day finally arrived. I have found this to be common among victims of child abuse. Nora: Circumstance. I believe if I had had a semi-functional family background, I would have made better relationship choices in my 20s and I´d feel encouraged to plan for a family with my fiancé now. I had an abortion at 27 when I unfortunately became the victim of a serial fraudster, a foreigner who married me and then took all my money. This man took advantage of my profound longing for family and for love. I wanted to keep the baby very much, but the situation was too dire. He was threatening me, and I was in danger of developing serious STDs, which could have affected the child, too. It all happened so fast. Nora: Sometimes I think about that abortion, that somehow I “could have made it”, living in a shelter house, alone in a foreign country. But then I come back to my senses and realize it was the best decision. I would never want to bring a child into the mess I grew up in. The possibility of having a family is fading in front of my eyes when I realize that nothing is going to happen unless I put substantial effort into creating a suitable environment for a child—and I feel too hollow and tired to pursue it. I never really expected to become a mother, so it doesn’t surprise me. It just feels of empty and out of reach for me. Nora: Feeling like a failure, like I am not “good enough”, normal, natural, whatever. But I guess it’s cruel to measure oneself against other people’s standards. None of them has walked in my boots. Nora: Somebody related the question of motherhood to a form of immortality, and said it is viable through creating children or something else of lasting value, like art. LWB: What’s your Plan B? Nora: I want to become a writer and documentarist. I find art and writing very fulfilling, but also it asks for your full being to be present. Sometimes I feel I have already given up some of that creativity by entering a close relationship, but I don’t regret that. I love my fiancé, and I can picture living a happy life together. What is your Plan B? Or are your wounds so raw that you can’t even imagine a happy future? We can all benefit from hearing about your experiences, plus we’d like to support you. 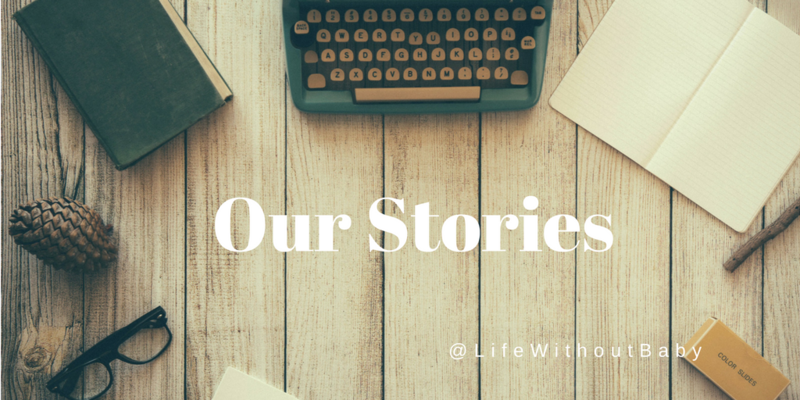 Please visit the Our Stories page to get more information and the questionnaire, and consider sharing your story with women who truly understand what you’re going through. Did you know Kathleen Guthrie Woods is getting ready to tell her own story? The Mother of All Dilemmas follows her journey of pursuing being a single mother then embracing a life without children, and explores the reasons our society still presumes to calculate a woman’s worth based on whether or not she’s a mother. Keep an eye on LifeWithoutBaby.com for announcements about the book’s release. Wow, I am so sorry that you had such a horrid early life. I am so very impressed in your search for recovery and joy in life. I guess I never thought of children as a way to immortality, but I think if you continue to pursue the activities that bring you joy, you are on the right path. Wow, Nora, you don’t need to hold yourself up against anyone’s standards except your own. You are a survivor, and that is no mean feat for any of us, let alone having gone through the situations you have experienced. I like too that you recognise how cruel we can be to ourselves, when we have an internal narrative that leads us to feeling unworthy, or like a failure. The truth is that you’re as worthy as anyone, and there’s no way you could be called a failure. I hope you’re very proud of yourself, in fact.